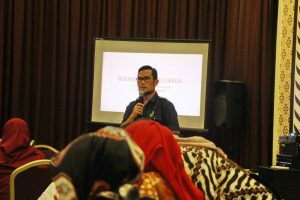 Elman boy, M.Kes, FIS-PH, FIS-CM, Lecturer of the Faculty of Medical, University of Muhammadiyah Sumatera Utara became the resource person at the Seminar on Sustainable Culture Development Development (P2KB) organized by Indonesian Family Doctor Association (PDKI) on Thursday, April 26, 2018 Mojopahit Room Koki Palace in Medan. The man who also served as Vice Dean of UMSU Medical Faculty brought a topic entitled ‘Family Medical Record’. The initiator of Family Development Program (PKBK) in FK UMSU conveys the experience of FK UMSU in organizing family health documentation or ‘family folder’. Former head of the department of Public Health Sciences (IKM) FK UMSU said that PKBK has been implemented since 2013. Former Program Coordinator PKBK FK UMSU year 2013-2017 is presenting FK UMSU support to Healthy Community Movement Program (GERMAS) which was launched by the government. General Secretary of PDKI Branch North Sumatra also explained that this Seminar P2KB PDKI is a routine agenda and will be held back for the third time at the end of June 2018. Meeting with the topic ‘Tips and tricks of hormonal therapy for menstruation’ is the second PDI-P2KB activity in 2018. 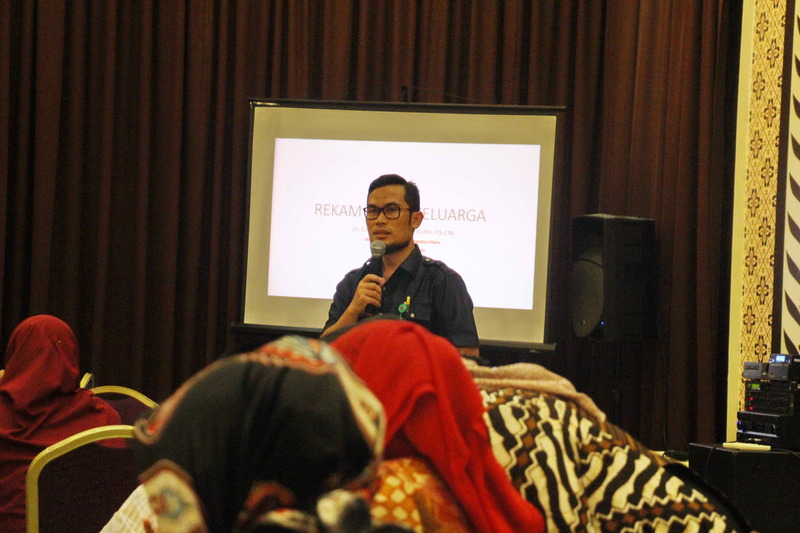 The event was attended by about 60 PDKI members from all regions in North Sumatra Province, not only from Medan and even from Pandan Public Hospital in Central Tapanuli.